Rock Allegiance 2015 Rocks P.A. Ever wonder what it would be like to be surrounded by a crowd of iconic musicians all in one place? 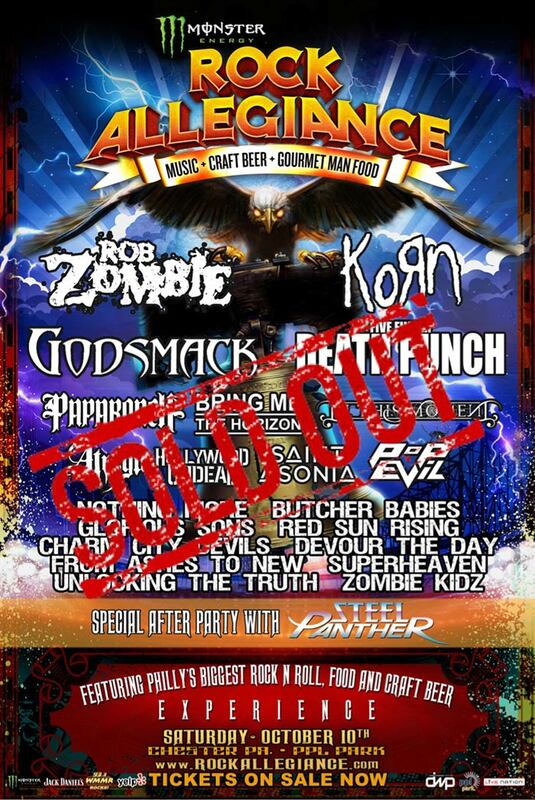 With festivals like Rock Allegiance there was no longer a need to wonder. 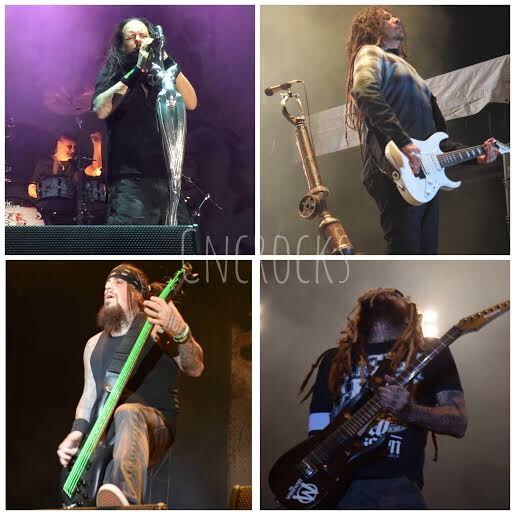 With bands like Korn, Rob Zombie, Papa Roach, and Butcher Babies to name a few, Chester, PA braced themselves this year as a few of the worlds favorite bands took the stage. 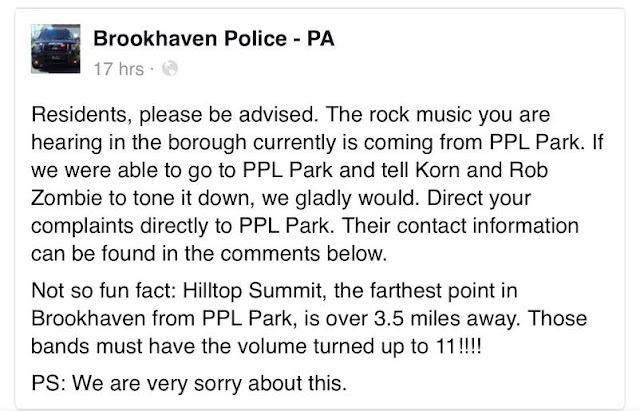 Brookhaven Police Dept. 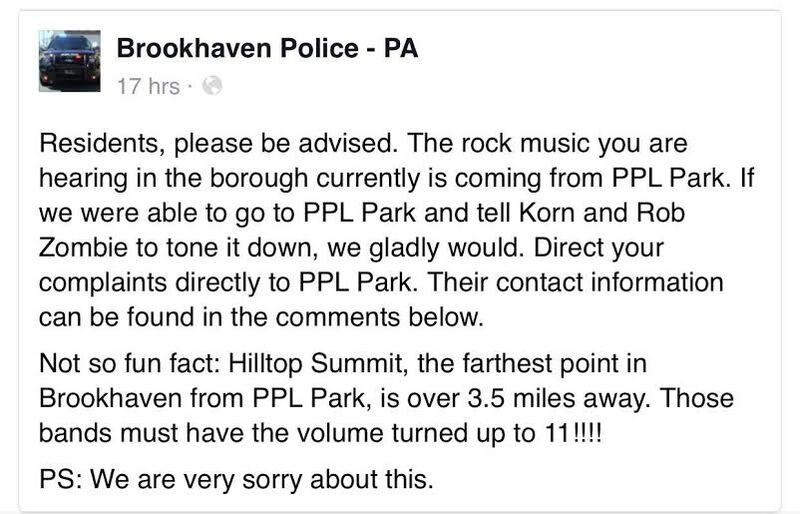 even took to social media attempting to comfort those in the surrounding area who were startled by the roaring voices of none other than Jonathan Davis and Rob Zombie engulfing the mountains. Those who were deprived of ever hearing such passionate and talented musicians plugged their ears and made complaints as a sold out arena of fans rushed the gates to get a glimpse of their favorite artists and hear the songs that inspired them, motivated them, and got them through times of both good and bad. With a line up like this there was no wonder the air spiraling through PPL Arena was saturated with pure adrenaline and anticipation. was only the start to what was bound to be a day to go down in rock concert history. From Ashes to New had their fans blaring with excitement as they took the stage in their home state of PA belting out their songs of positive inspiration in their rap-rock / alternative metal style that impressed both long time listeners of the band as well as new. 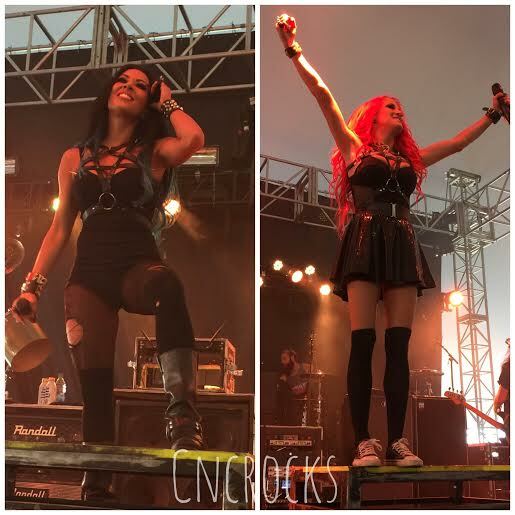 Butcher Babies showed each and every concert goer how to "take it like a man" delivering their unmistakable energy and emotion while fans echoed their favorite songs and front women Carla and Heidi presented their famous boisterous and heavy vocals. Maria Brink took the stage with her band In This Moment. Adorned in her well known seductive and theatrical attire Maria put on a performance that entertained fans as she serenaded the crowd with songs such as Big Bad Wolf and Whore. Papa Roach sucked in their audience as they dominated the west stage. Playing everything from Last Resort to Gravity featuring Maria Brink, they had the crowd screaming for more. 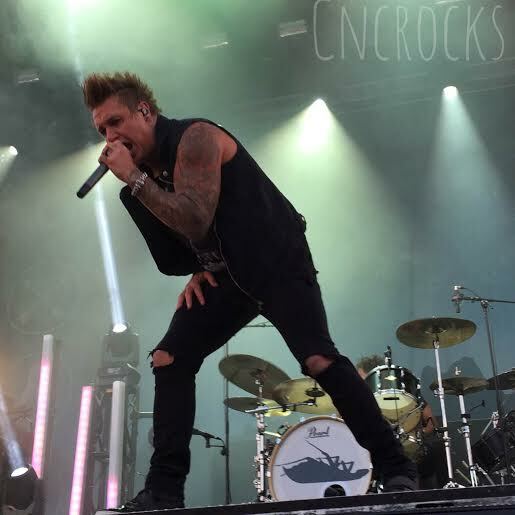 With his unparalleled stage presence and impressive vocals Jacoby Shaddix did not disappoint. The sun seemingly slipped behind a curtain of darkness as day suddenly turned to darkness. Only the glow of vibrantly colored stage lights consumed the arena. Bands such as Five Finger Death Punch, Hollywood Undead, and Godsmack shook the summit to its core as fans created a wave of flying fists and crowd surfing bodies throughout the venue. 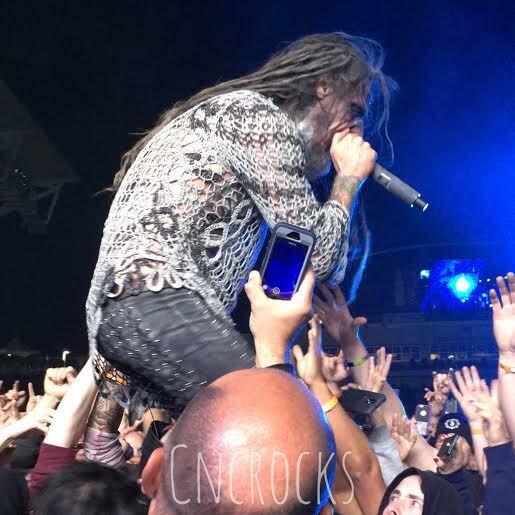 It was 9:30 pm when Korn took the stage triumphantly captivating the audience with their mesmerizing and unmistakable sound playing favorites such as Shoots and Ladders and Freak On A Leash. Last and certainly not least was Rob Zombie. 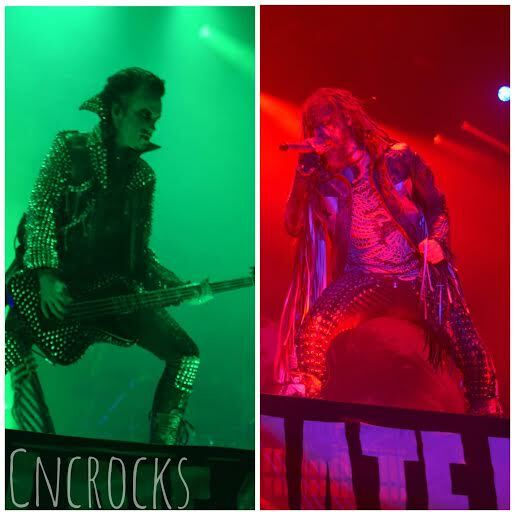 If you have ever been to a Rob Zombie show before, you know that when he hits the stage his presence oozes with an intense and captivating rock metal vibe unlike that of others. With years of experience under his belt Rob and the band seized the eyes and ears of tens of thousands of people at this sold out event. Viewers fed upon the band's heavy and remarkably unique sound that is known to be true to every one of the their noteworthy performances. Nothing could have concluded the evening more appropriately than an encore by the legend himself, roaring Dragula as a thundering shower of fireworks lit up the night sky. If one thing is certain about what Rock Allegiance and this years performers accomplished and proved, it is that nothing beats that of a family of talented and passionate rock stars and the bond that they have among their fans. The count down begins for Rock Allegiance 2016!